At The HR Dept we need a minimum of six weeks to help you set up your business. After the initial business set-up phase, you will be invited to a three-day induction where we will give you specific training on our unique business model. You will meet the team, be trained on how to use our internal systems, as well as meeting with our sales and business coaching experts. 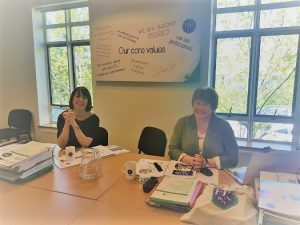 Last week we ran an induction for our two newest licensees Joanna Charles of HR Dept Bradford and Niamh Kelly HR Dept Shropshire, who have now officially launched their businesses on the 1st of May. Joanna Charles gave us some feedback about her experience at induction.